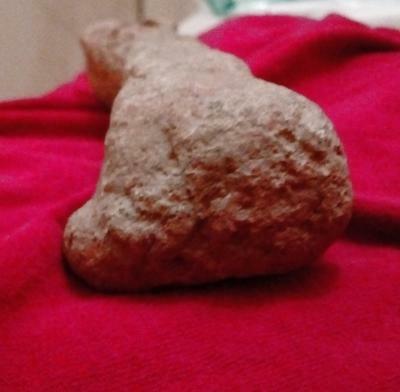 Comments for California fossil bone ??? 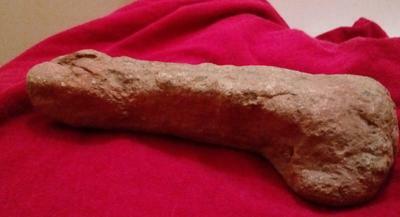 This has the shape of a bone however, The area that you found it is almost exclusively igneous or volcanic rock. Igneous rocks have no fossils. Volcanic rocks can take almost any shape. Look for cell structure. Bone even fossil bone has cell structure that is visible to the naked eye. The ends of the specimen are bulbous like a bone joint but they don't appear to have the structure of joints i.e. ball and socket or hinge.